Healthy eating guidelines often tell us choosing wholemeal bread over white is always a healthier option, but new research has found this may not always be the case. In an article published in the Cell Metabolism Journal on 6 June 2017, researchers said 20 study participants all reacted differently to eating both white and wholemeal bread. Researcher, Eran Segal, said very much to his surprise, initial findings revealed no significant difference in the health of participants whether they were eating white or wholemeal bread. “We looked at a number of markers, and there was no measurable difference in the effect that this type of dietary intervention had,” Segal said. Will tailored diet advice be the way of the future? The researchers said previous study, along with their own study, suggests some people have better glycaemic responses to white bread, while others respond better to wholemeal. “The findings for this study are not only fascinating but potentially very important, because they point toward a new paradigm: different people react differently, even to the same foods,” said researcher Eran Elinay. “To date, the nutritional values assigned to food have been based on minimal science, and one-size-fits-all diets have failed miserably. These findings could lead to a more rational approach for telling people which foods are a better fit for them, based on their microbiomes,” he said. 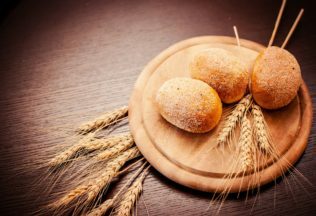 Another researcher involved in the study, Professor Avraham Levy, issued a caveat saying the experiment looked at everyone eating the same amounts of carbohydrates from both bread types, which meant the participants ate more whole wheat bread because it contains more carbohydrates. “Moreover, we know that because of its high fibre content, people generally eat less whole wheat bread. We didn’t take into consideration how much you would eat based on how full you felt. So the story must go on,” he said.